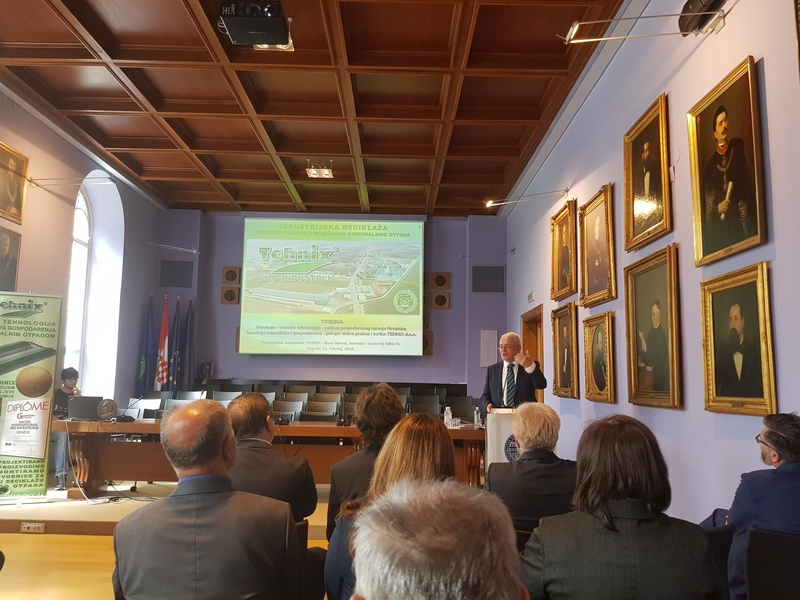 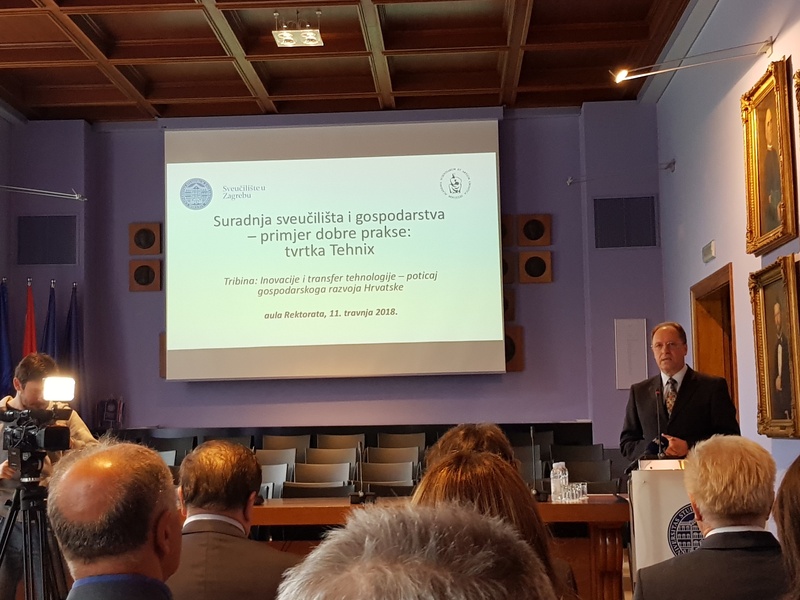 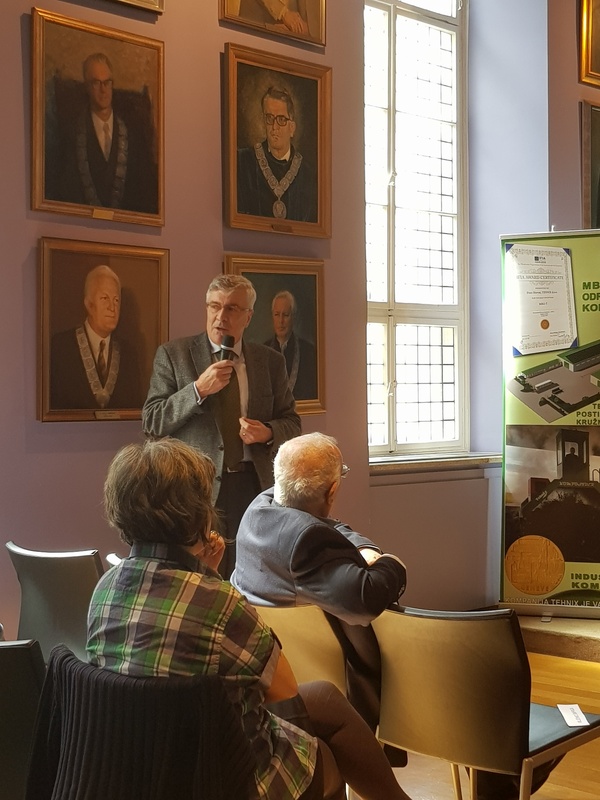 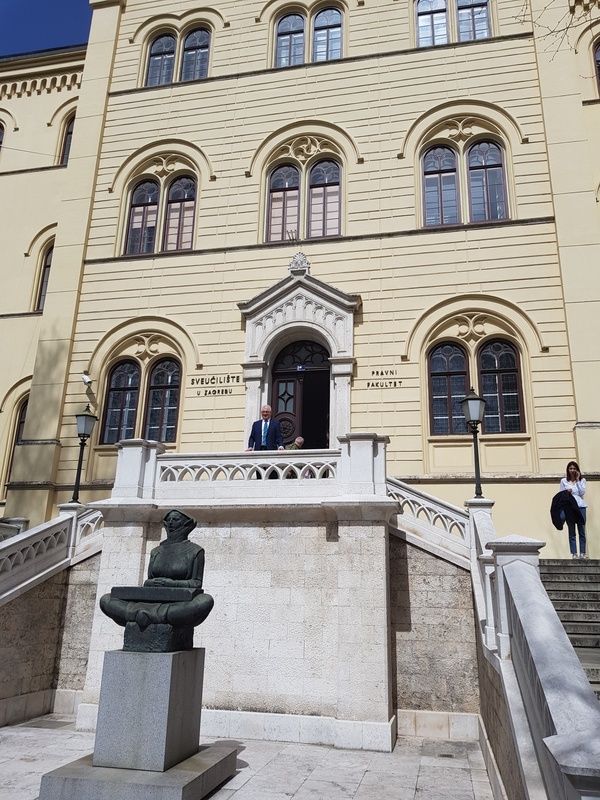 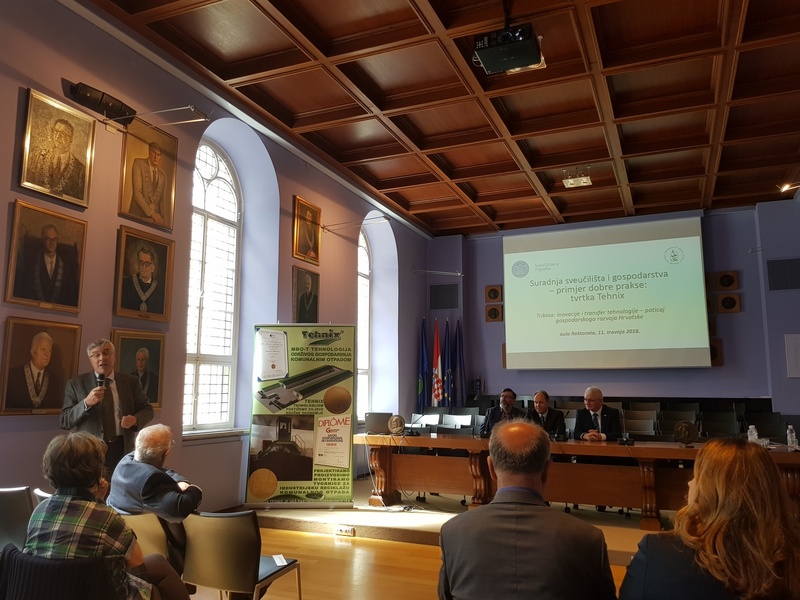 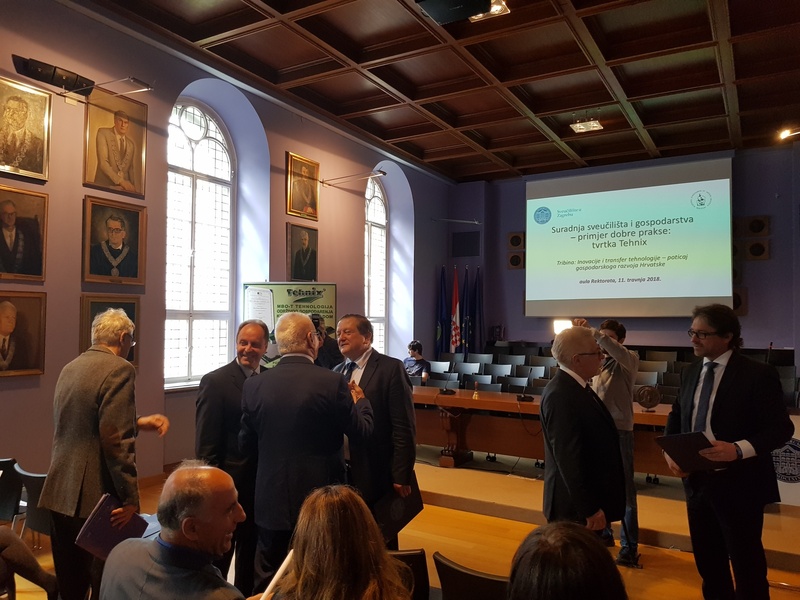 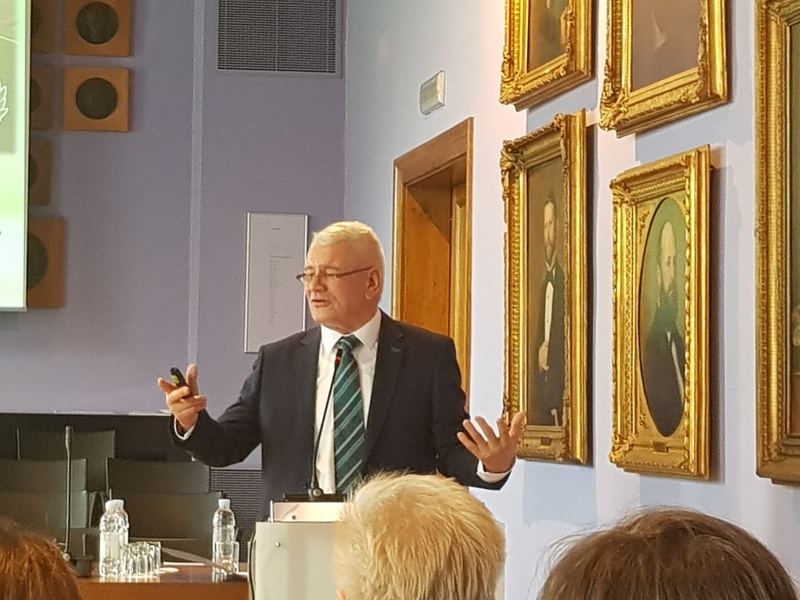 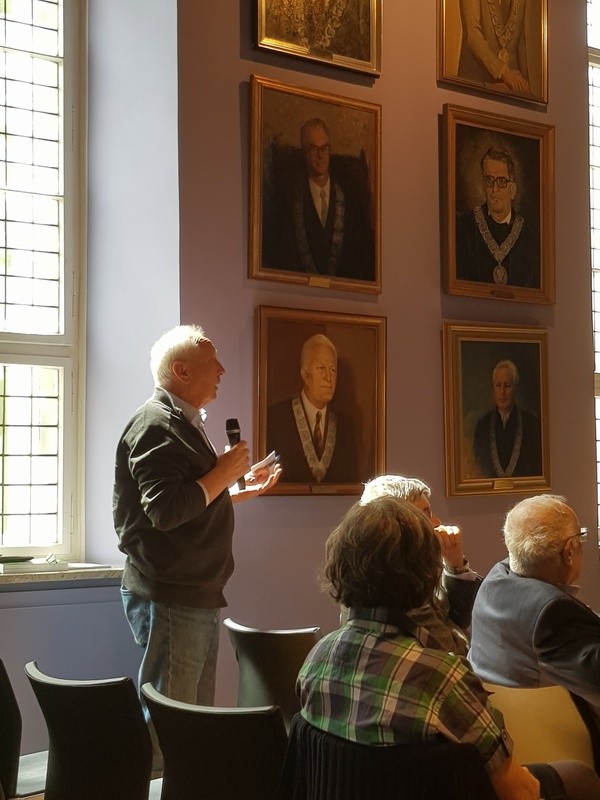 On April 11, 2018, in the hall of the University of Zagreb, the Forum "Innovation and Technology Transfer - an Encouragement of Economic Development of Croatia" was held. 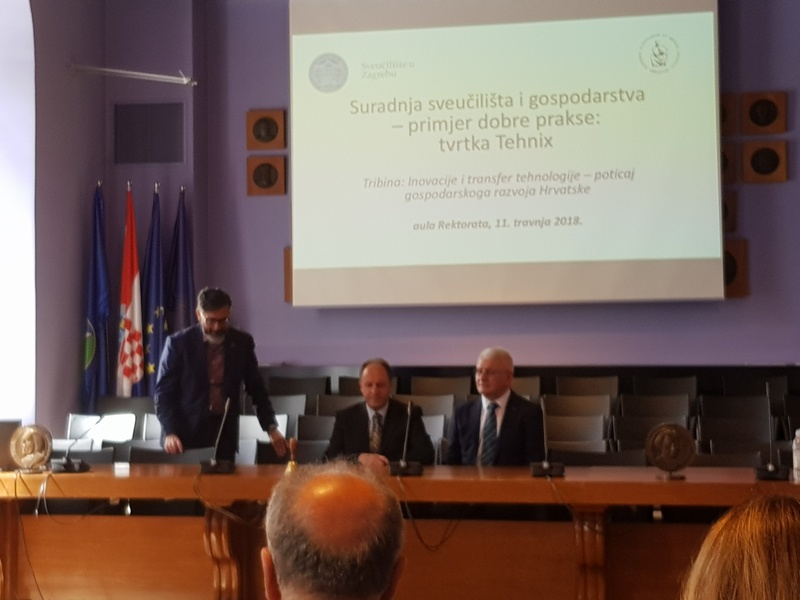 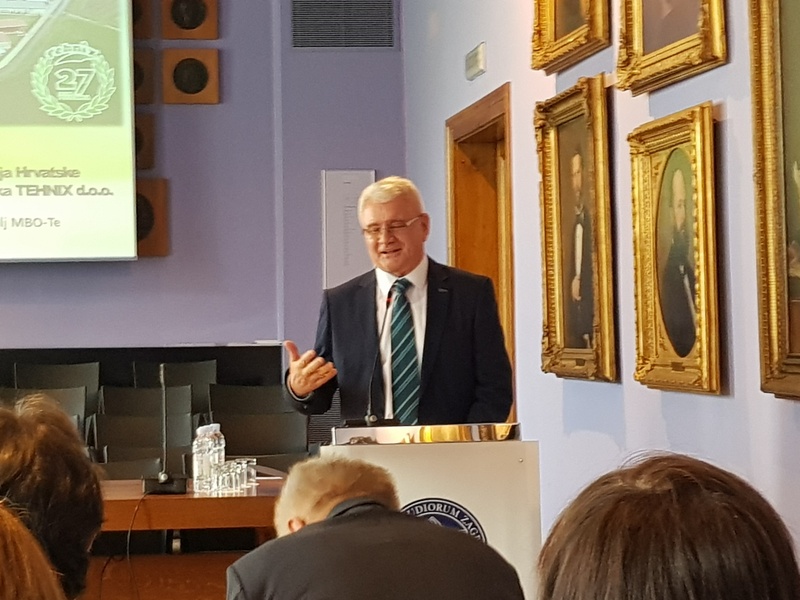 The emphasis was on introducing examples of good practice, which was delivered by the president of the company Tehnix, Mr. Đuro Horvat, with his lecture titled "Collaboration between universities and the economy - example of good practice: company Tehnix d.o.o.". 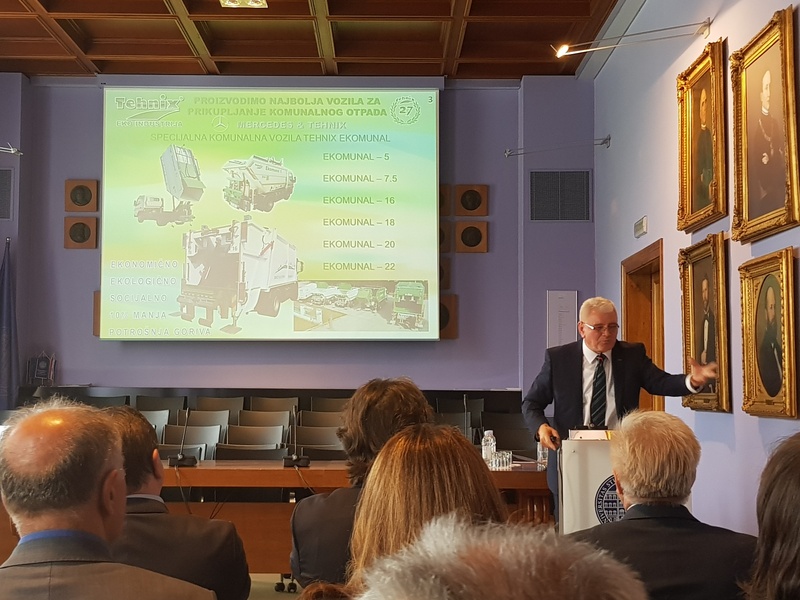 The starting point of the forum was the successful linking of science and higher education with small and medium-sized entrepreneurs as a necessary prerequisite, not only for economic growth, but also for the development of local and wider social communities. 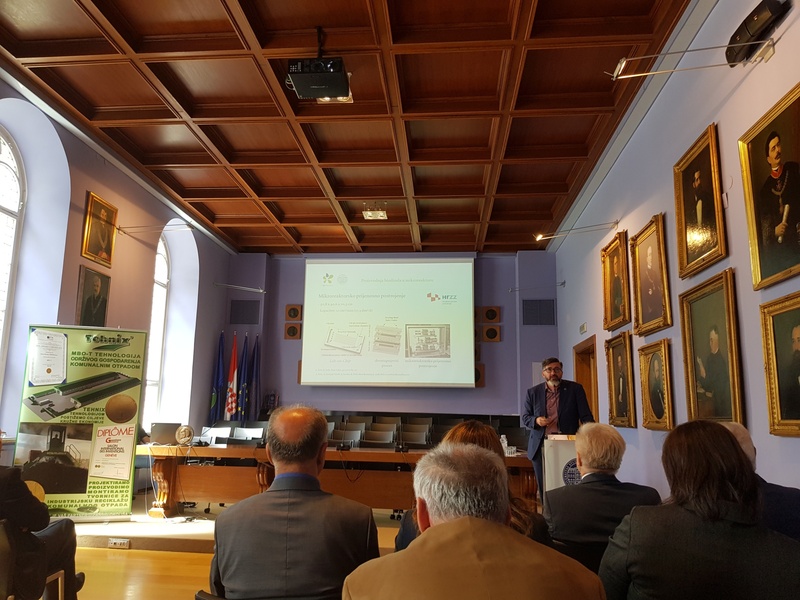 The Tehnix company, the leading eco-industry in Croatia and Europe, is part of the Smart Specialization Strategy, which is ranked as a trendsetter in the field of environmental protection, and as such is a great example of which is the main activity focusing on innovation, research and development, what opens the door for successful business growth. 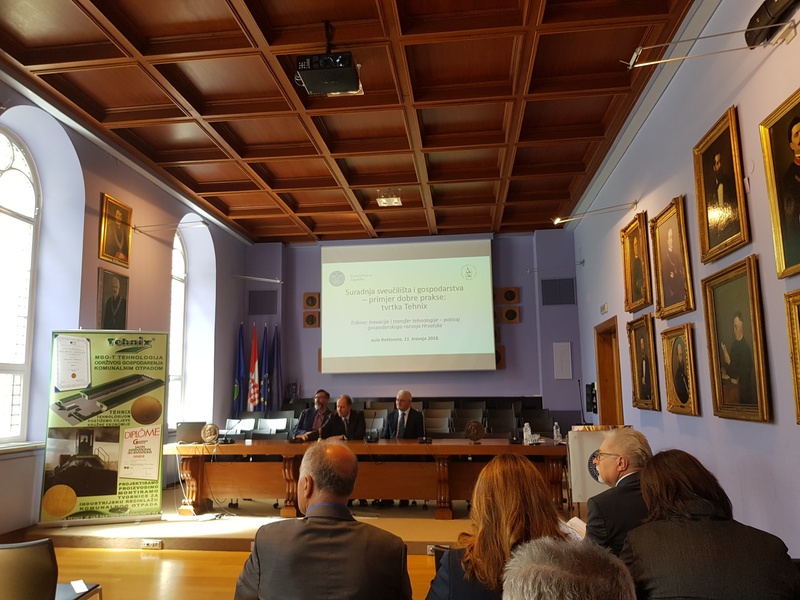 To conclude, the joint goals of Tehnix and the Academy of Technical Sciences and the University have been established, namely: to significantly improve the existing municipal waste management model in the Republic of Croatia, to continue cooperation on the development and application of the best recycling, composting and production of RDF fuels technology, to propose to the Government of the Republic of Croatia and the Ministry of Environment the best technological solutions for sustainable development of the Republic of Croatia, support projects that protect groundwater and air and achieve a circular economy in waste management. 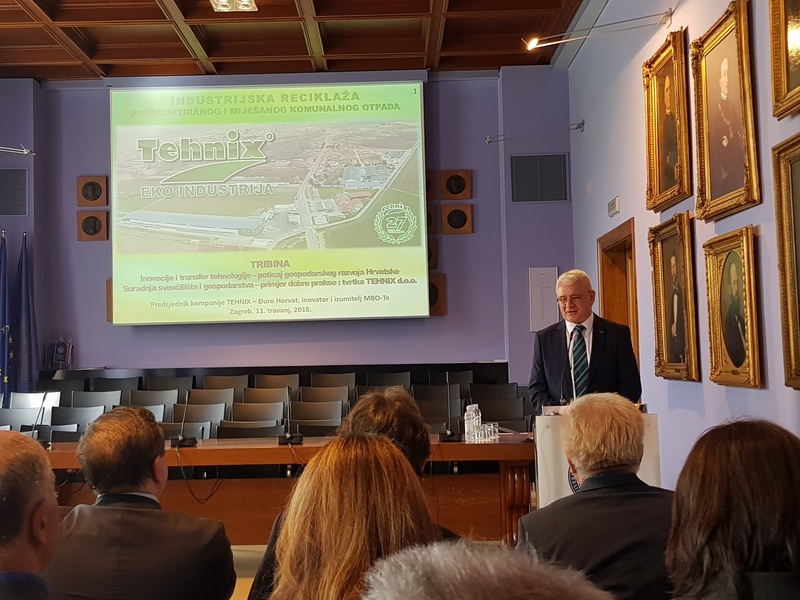 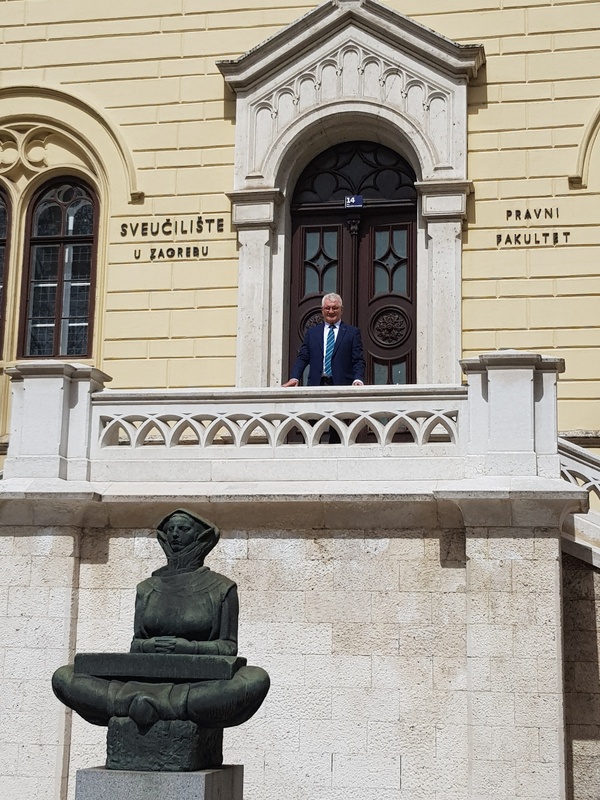 The company Tehnix together with Academy of Technical Sciences Zagreb will continue to co-operate on the development of new best technologies funded by the European Union, World Bank and local sources.